The subway system is both the best and worst thing about living in NYC. As convenient and practical as it is, it’s also prone to interminable delays, rerouting, annoying passengers/performers and general unpleasantness. Though I think we New Yorkers tend to take it for granted, there’s no question it could be better. Google’s Area 120, the company’s “workshop for experimental products,” is trying to make the subway a bit more bearable with an app called Pigeon (currently limited to iOS). As noted by The Verge, it works a lot like Waze. 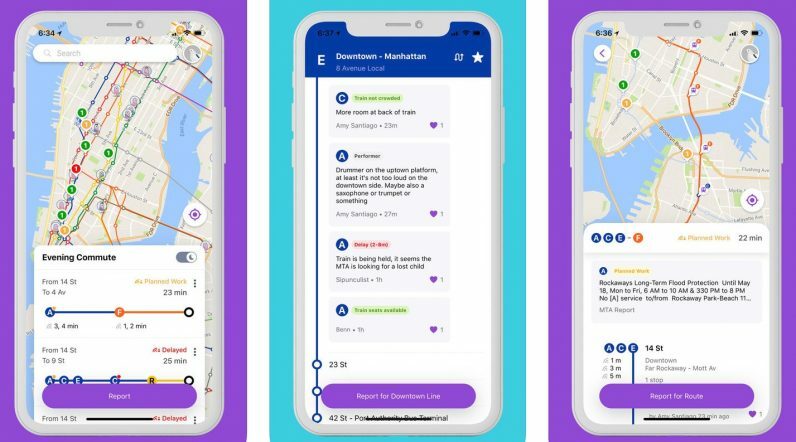 Not only does it provide directions on how to get somewhere, but users can also post comments to warn people about any incidents you might not see on your typical navigation app or the MTA’s website. There’s a prominent purple button on the bottom of the app teasing you to report what you see. This may not seem like a huge deal, but I can’t tell you how many times I’ve blindly follows Google Maps only to find my trip won’t go quite as planned. Maybe there’s massive flooding in a station. Sometimes specific entrances are closed. Or perhaps you’re just not in the mood to hear an amateur saxophone solo on your early morning commute. The app is still very much an experiment right now, and you need both an iOS device and an early access code to try it out, but it’s a clever idea I’d love to see flourish.